We are the co-founders of En Stoemelings brewery and work together with two more employees, one in production and one in sales. Samuel Languy studied game design in India and Denys Van Elewyck archaeology at the ULB. We’ve been friends since we’re 12 and reunited to create a microbrewery in the days when Brussels counted only two breweries. 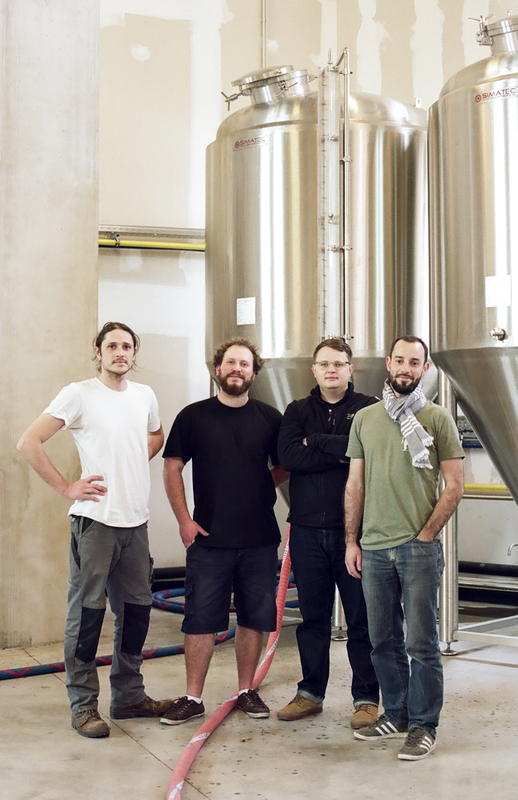 Now we are expanding our franchise by opening a new brewery in Laeken that will allow us to brew even more beer. Our love for Belgian beers made us want to take it to the next level, meaning local, true, craft and enjoyable. How would you describe your attitude to work? We’re really cool and open-minded. We discuss a lot to avoid confusion and always be on the same page. On a personal note, what would you say you’re the proudest of? Everything we’ve achieved in 4 years. It’s a friend, a little boy, a Zievereer. It’s a word we use in close friendship circles. A good word. Jacques Brel for its music and powerfulness. Le Grand Jojo for its typically Belgian world. I would show them around the old streets of Brussels because they have so many secrets and mysteries to tell. We met at the Belgian Beer Festival in London on July 21st last year and had Belgian fries with BK sauces. Delicious! Why don’t Belgians do it better?